The Activities Overview has received plenty of attention this release. 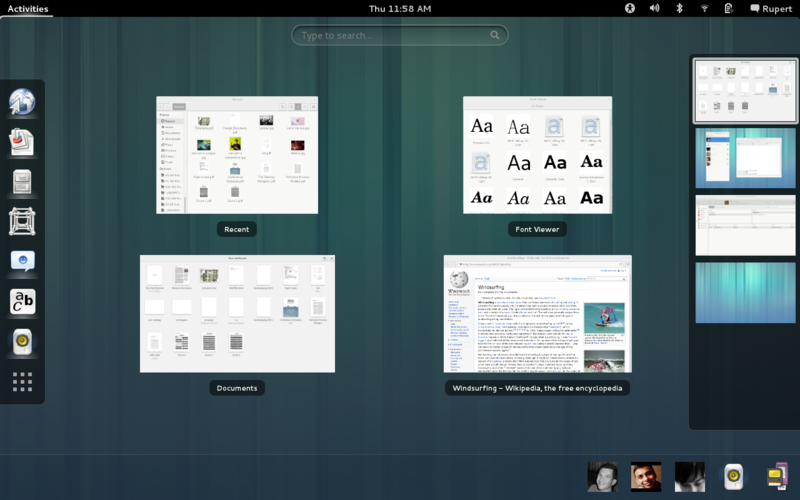 One change is the way that application launchers are reached. 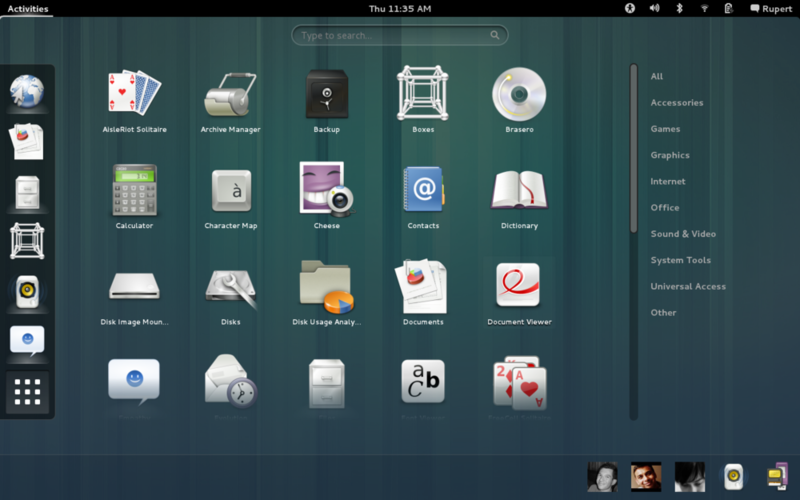 In previous versions, you used the application tab in the top-left to access your applications. This has been replaced with a new grid button that is located in the dash. This greatly improves the layout of the overview and highlights the all-important search bar. Message Tray — Major updates make it better looking and easier to use.